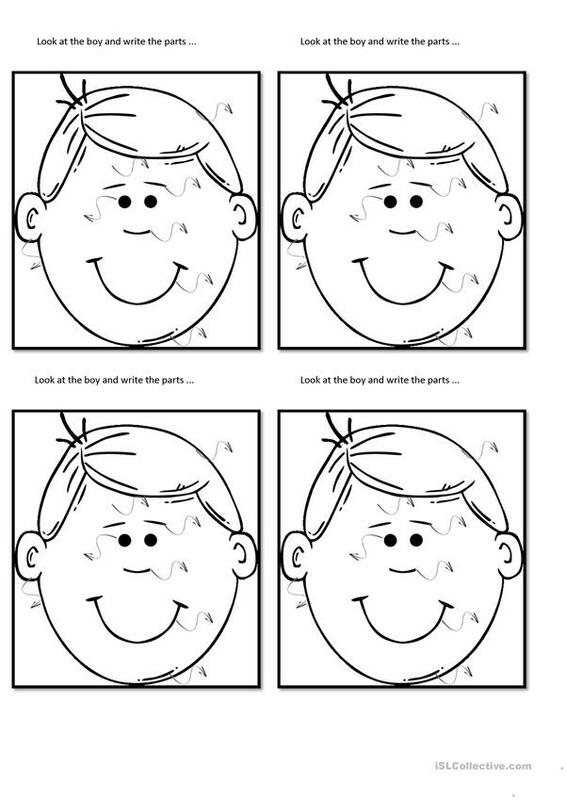 B&W ws to practise parts of the body(In this case the face) Students have to write the correct part on each arrow. They can describe the boy and they can colour the drawing too. This printable, downloadable handout is recommended for elementary school students, kindergartners and nursery school students and students with special educational needs, learning difficulties, e.g. dyslexia at Beginner (pre-A1) level. It can be used for developing your class' Speaking and Writing skills.